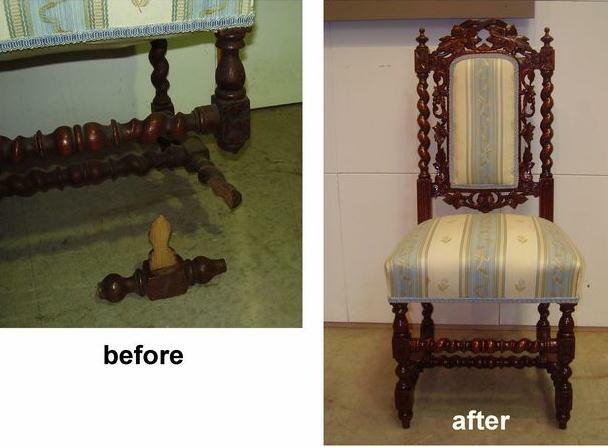 When it comes to fine repair work of antique chairs, Aubert Furniture has the expertise to help. It's perhaps the most common repair work we do. 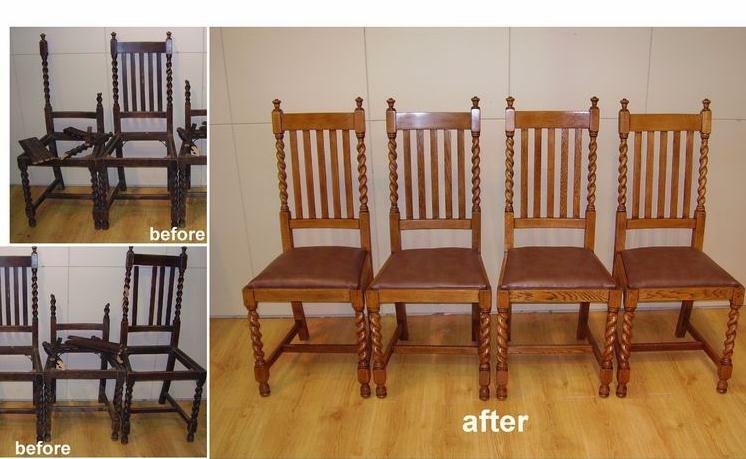 We pride ourselves on repairing and restoring antique chairs back to a perfect condition again. 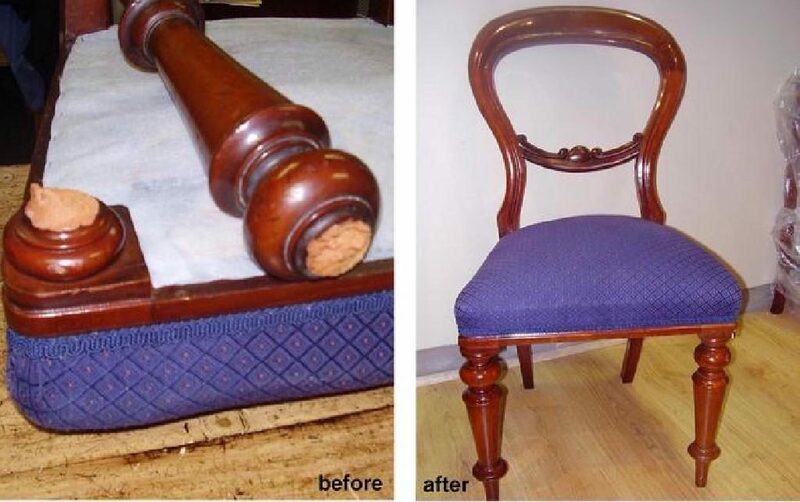 Typical chair repair work includes glueing up loose chair joints, repairing broken sections of chairs, replacing missing sections of chairs, colour match polishing, general restoration and traditional upholstery work. 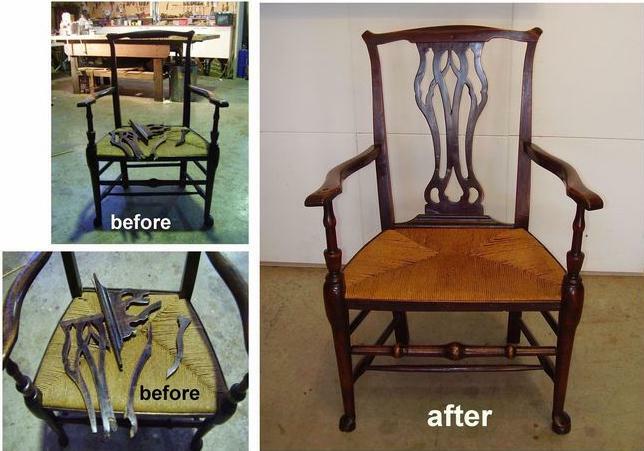 It's reassuring to know, if your beloved family heirloom breaks, we can fix it like it never broke in the first place Repair to cracked and broken crest rail of Victorian English dining chair c1870. Recent Repair Work to Broken Splat-back of George III Chippendale Carver circa 1790. 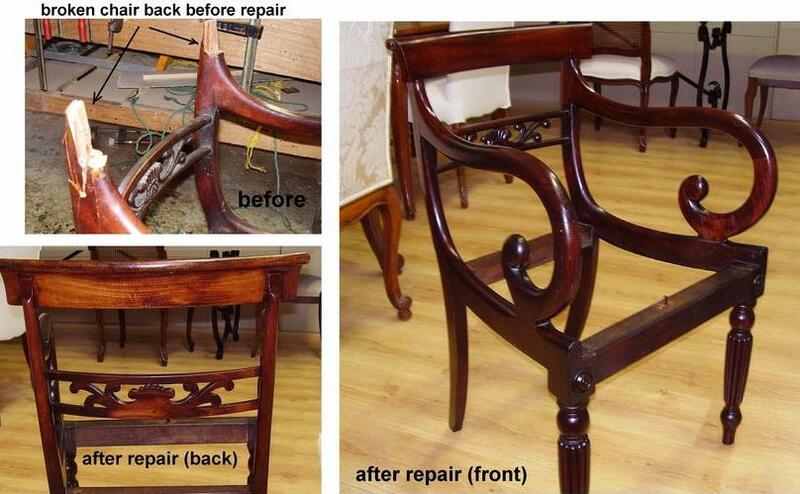 Recent Repair Work to George III Chippendale Carver circa 1790. Our customer had been told by several other restorers that the interlaced vase-shaped splats were beyond repair due to its multiple breaks. 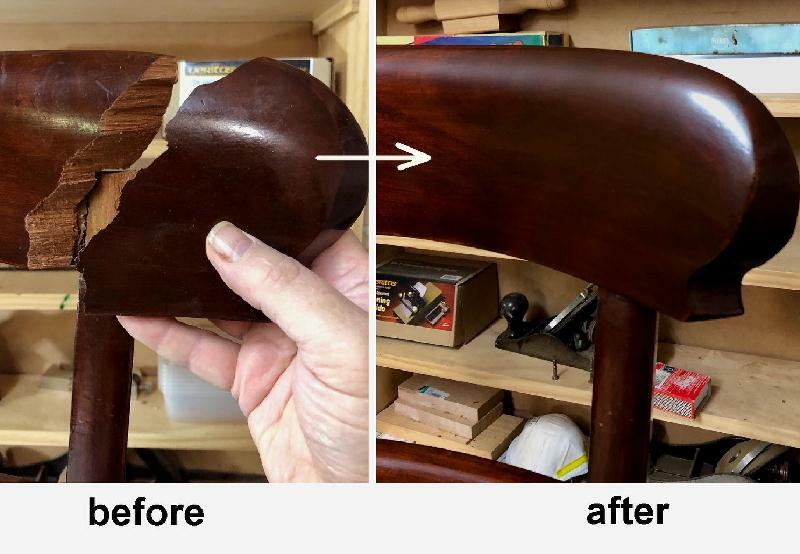 We have repaired many broken Georgian chair splats like this one over the years and not one has ever come back. I always find it amazing how a chair leg like this can be broken in the first place, but when it does, we can fix it like it never happened in the first place. It will never break in the same spot again guaranteed. 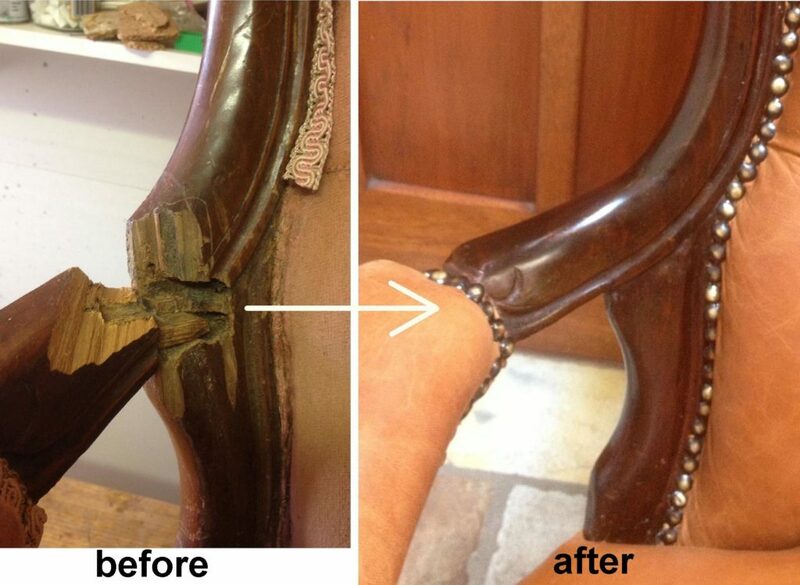 We recently carried out extensive repair work to this mid-Victorian scroll-arm carver chair. The customer was very impressed when he picked it up. it was like it never even broke in the first place. When Michael from Rhodes picked up his beautiful antique armchair he could not believe his eyes. Not only was it repaired back to perfect condition again, but there was no visible repair line or evidence of previous damage at all. This is the right way to repair a chair. George from Ingleside brought in his dad's old chairs in a large sack, which were on their way to the tip if they could not be restored and saved. I suggested we try and retain the existing finish but George explained they needed to match their oak dining table or to the tip they go. Faced with the decision of seeing them go to the tip or performing a complete transformation I chose the latter. 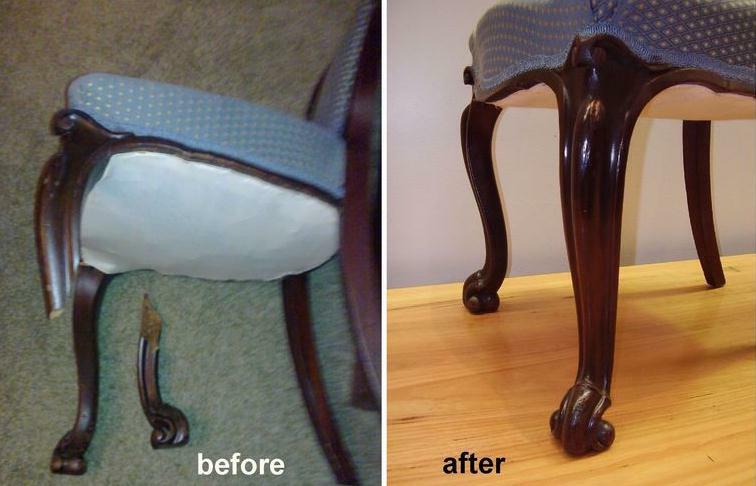 We recently repaired this broken chair leg. Always tricky when the break is across the short grain. Repaired perfectly and it's as strong as the day it was first made. Broken Jacobean turnings are a very common thing. They need to be repaired the right way the first time. 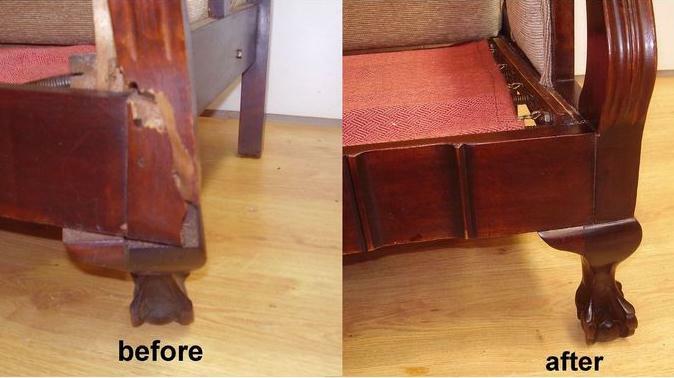 At Aubert Furniture, we use special repair techniques to repair broken turnings like this. We are a stickler for doing things the right way.